London Bridge Plastic Surgery & Aesthetic Clinic recommends radiofrequency skin tightening with 3DEEP EndyMed PRO and the Fractional Skin Resurfacing Applicator FSR, (which is FDA cleared) to effectively tighten the skin in a safe, painless treatment with no downtime, was featured on a NYC TV program with renowned New York dermatologist Neil Sadick, MD speaking about the EndyMed PRO. Effective skin rejuvenation and tightening with a comfortable, effective, no downtime treatment. Radiofrequency skin tightening using the 3DEEP device is the state of the art technology in non-surgical skin rejuvenation using the FDA approved EndyMed PRO device. This treatment is suitable for both men and women who desire a natural lifting with a treatment which is painless and allows them to continue normal work or social activites. Radiofrequency skin treatment tightens the skin collagen and stimulates the fibroblasts to make new collagen and elastin. A course of treatments is commonly required. 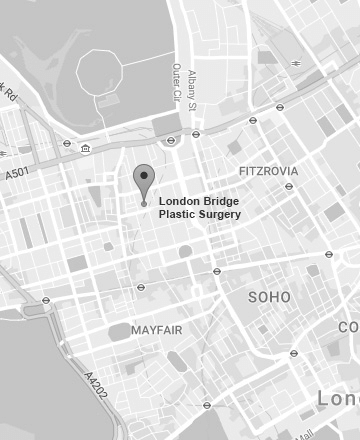 At London bridge Plastic Surgery & Aesthetic Clinic we carry out a full skin analysis including measurements of skin elasticity to effectively plan your personal treatment. Radiofrequency skin tightening with the 3DEEP device is used to lift and rejuvenate the face, neck, decollete, breasts, abdomen, arms, buttocks and knees. Following radiofrequency skin tightening, the skin tone improves, skin texture is more even and the appearance of the skin is more youthful. I have been looking for a treatment that is non-invasive, doesn’t hurt , has no down time, no side effects or risks and will tighten my skin and help it look it’s best. Quite a tall order in fact! So when I first heard about the Endymed 3DEEP, I was a little sceptical and a little apprehensive. Either it wouldn’t work at all or it would hurt and leave me red or burnt! However, I fell asleep during my first treatment ( well I was a little tired!) and felt like I was doing a salon treatment like a Caci or something. That was a relief. My skin looked great for a few days then went back to normal. I was advised to do a course of 6 over a 2 month period. After each session my skin looked great but then would return to normal. I was told it could take a few months for the new collagen to form and be patient. Friends said my skin was looking good but I couldn’t tell. After about 4 months I was beginning to wonder if it was all worth it. Then a friend visited from America and asked what on earth I had been doing as my skin looked great. Tighter she actually said ( bit of a cheek I thought)! I have been working flat out and feel quite exhausted but everyone now keeps telling me how well I’m looking and how youthful I look. So is it just my fabulous genes or the Endymed 3DEEP?? Well personally I think it’s my fabulous genes but think I will keep doing my Endymed 3 DEEP top up treatments just in case! Introducing the new 3DEEP Intensif – deep dermal heating combined with micro-needling to provide collagen remodelling to treat acne scars, deep wrinkles, dilated pores and stretch marks. The new Intensif Handpiece uses 25 sterilised gold plated micro needles which heat the papillary and reticular dermis to encourage skin improvement. During the course of treatment and for the months afterwards, the damaged tissue will be replaced by healthy and younger looking skin. It will become tighter, smoother and rejuvenated. The combined effect of the radio frequency and the micro needling offers a revolutionary remodelling of collagen. The energy is delivered in a micro pattern which allows for more effective heating of the skin and therefore better results. There is minimal downtime and it is suitable for all skin types.